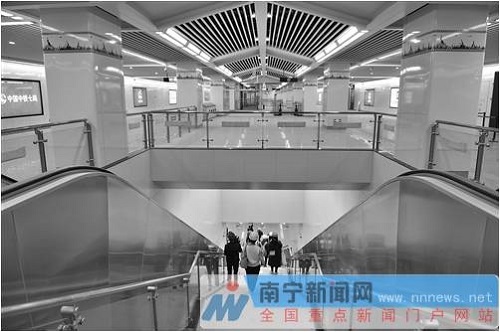 Recently, it was learned from Nanning Transportation Bureau that it had organized Shanghai Transportation Industry Association, 26 relevant departments of Nanning and the autonomous region, Nanning Rail Transit Co., Ltd., and 10 experts from across the country to carry out preliminary check on the preparatory work for the initial operation of Nanning Metro Line 3, in order to ensure that the metro line would be opened on June 3 this year as scheduled. It is reported that after the opening of Line 3, the rail transit in Nanning will achieve a mileage of 80.75 kilometers and cover 66 stations. The transfer between Line 3 and Line 1 or Line 2 will increase the scale and service level of the rail transit network, enhance the attractiveness of public transportation, and increase the proportion of public transport passengers and their motorized travel. It will be of great significance to ease the pressure on the ground traffic in urban area, prioritize the development of public transportation, promote the construction of national public transportation city in Nanning and boost economic and social development.